I have a massive collection of re-cycled re-usable bags but rarely use them as I don’t really like the designs on them – so I decided that I’d make something I did like and cover up the existing branding!. I did this with fabric off-cuts from some cushions I made last year and the pink fabric is an off-cut from a quilt I’m currently making. 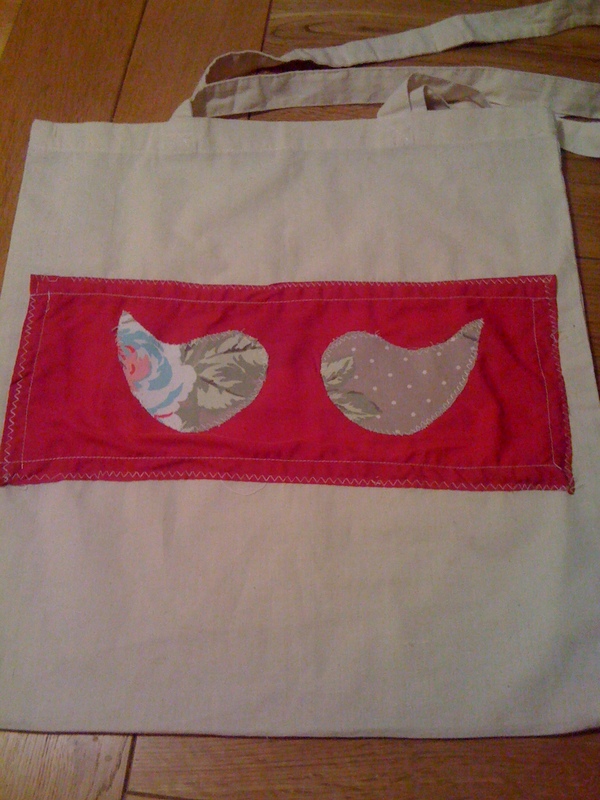 I cut out little birds from the cushion material and applique them to the pink fabric, which I’d cut to size, with additional hem, and then hemmed and stitched the design to the bag. I just love using these bags to hang around the house and keep things it. 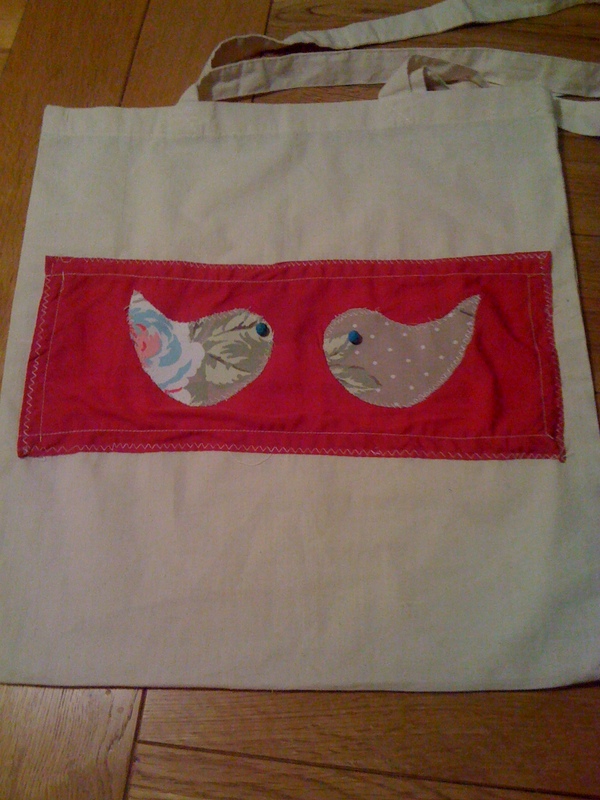 As this matches the quilt I’m doing I’ll hang it on the back of the bedroom door to keep belts in. You can do this and pick any design you like to transform and personalise the bag to your style or your home decor. I got so bored with my same-y cream-coloured reusable cotton bags that I’m doing this right now. I’ve dyed a couple and I’m appliqueing over the logos too. One of the logos is so big I’ve decided to make a zipped pocket to stich to the front of the bag to take my library card (it’s goingto be the bag that my liibrary books go in to keep them together so I can return them before they’re due. I know, not sure the advertisers would be too pleased though!